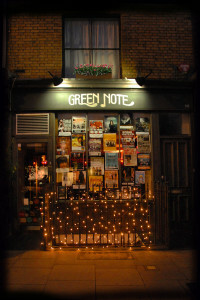 Green Note is located in the heart of Camden Town, less than 5 minutes walk from Camden Town tube station. Find the best route for getting to Green Note by visiting Transport for London’s Journey Planner. Green Note is served by numerous buses (24, 27, 29, 31, 46, 88, 134, 168, 214, 253, 274, C2, and night buses (N5, N20, N28, N29, N31, N253, N279. Bike stands are located at the top of Parkway on the corner of Gloucester Avenue. Santander Cycle Hire stands are available outside 52 Parkway and at the Parkway end of Gloucester Avenue. 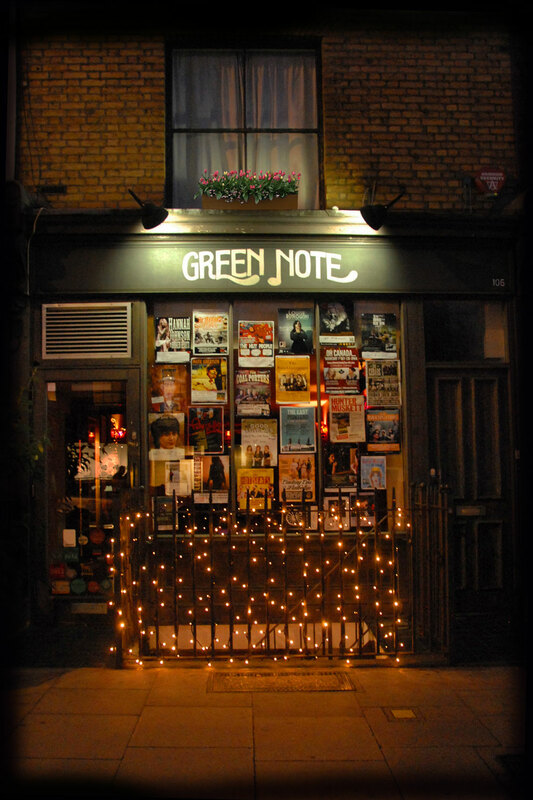 There is free on-street parking outside Green Note on Parkway from 6.30pm Monday-Friday and from 5.30pm on weekends. There is pay and display parking on nearby streets (eg.Albert Street) until 6.30pm. There is NO PARKING on Parkway between 4.30-6.30 Monday-Friday, and pay and display parking on Parkway until 5.30 on weekends. The traffic wardens are like vultures in Camden and the parking restriction signs are very confusing, so please take note!